If you have a vegetable garden, you may find yourself with an overabundance of zucchini this time of year. There are so many different ways you can prepare zucchini. If you don’t like it one way, you can sure find a bunch more options! 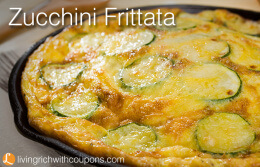 I’m adding another recipe to our list today – a Zucchini Frittata. This simple recipe makes a nice dinner. Leftovers are good the next day too! 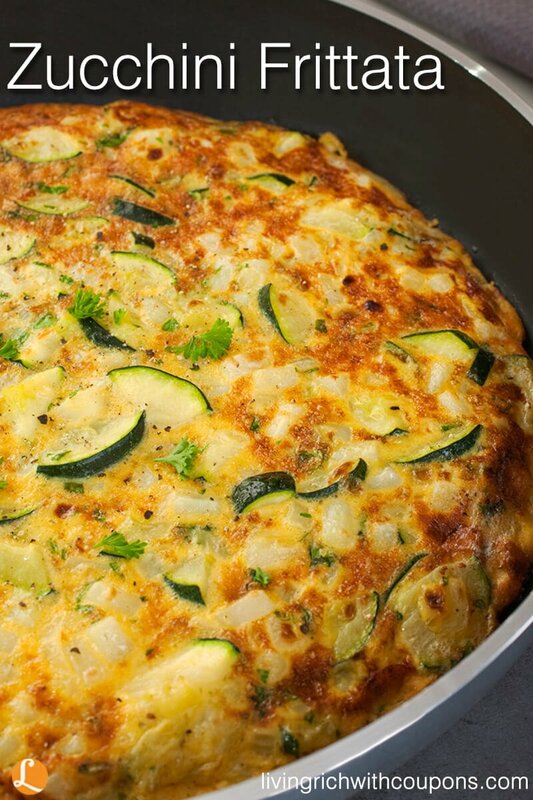 This simple Zucchini Frittata recipe makes a nice dinner. Leftovers are good the next day too! In frying pan, heat 1 tablespoon of oil, add sliced onions and saute until wilted. Add zucchini and cook until tender - about 10 mins. Add basil and remove from heat. Pour into strainer and let drain. In a bowl, beat eggs, add cheese and mix well. Add drained zucchini mixture. Heat 1 tablespoon oil in frying pan. Add egg mixture. Distribute the mixture evenly in the pan. Lower the heat and cook until set - 12 - 14 mins. Place a large dish on top of the frying pan and invert the frittata. Carefully slide the upside down frittata back into the frying pan and let cook 2 mins longer. Invert onto a dish and serve. Cut the frittata into wedges, the same way you would cut a pie.